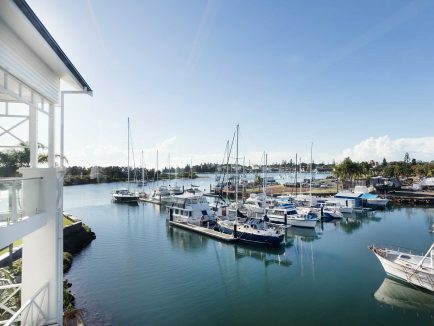 Richard Cornish explores Bright and surrounds to discover a fresh trail of native Australian influence, new businesses and youthful personalities that are breathing new life into this historically popular tourist town. It is a warm day in early autumn and the sun falls on the walking track through a filter of dancing leaves as the smell of damp earth mingles with the tang of eucalyptus. The air becomes cooler as the path drops into a small gorge known as Lady Bath Falls, carved by Eurobin Creek. Mount Buffalo towers almost a 1000 metres above us; ahead the sound of cascading water can be heard above the susurration of the breeze through the leaves. 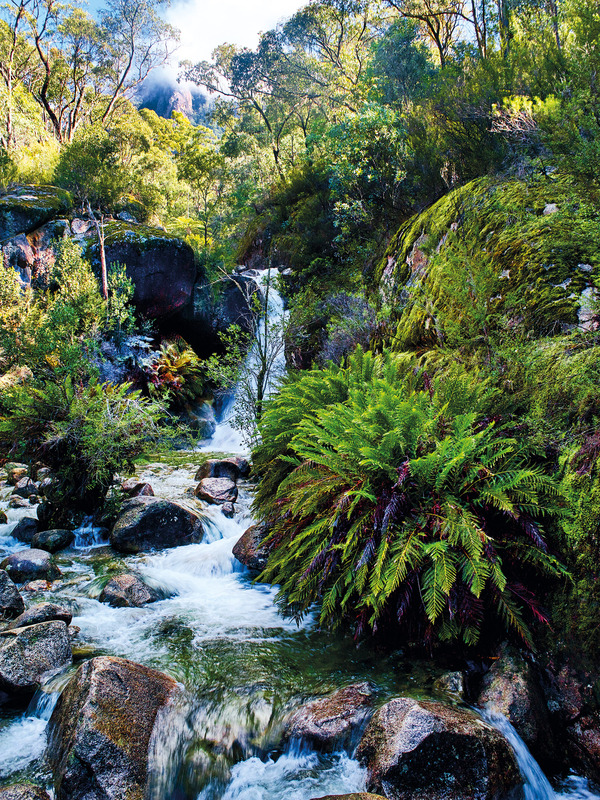 The rocks in the creek are round and smooth, and are ringed by bush plants including the aromatic mountain pepper. A little further upstream Eurobin Upper Falls cascade over a sheet of granite smoothed by centuries of water to land in a pristine round pool of clear water. The call of the water is irresistible. The rocks are slippery and the water bracingly cold; under the waterfall it pounds down with considerable force. There is no time to dry off as the car is only a few minutes’ walk away. We follow Eurobin Creek to its confluence with the Ovens River then follow the Ovens downstream to Eurobin. There, standing in a paddock with a backdrop of ancient towering elms, is a beautiful house made from weathered steel, hardwood and formed concrete. This is The Shorting Shed, one of three stunning accommodation properties on a farm at the base of Mount Buffalo that together are known as the Kilnhouses. They have all been constructed to reflect the iconic architecture of the local agricultural buildings, drawing on the distinctive shape of the tall corrugated iron tobacco drying kilns and the brutal concrete and steel dairies of the mid-20th century. The sorting shed is a triumph of both design and comfort. Architect Sally Draper combined the visual elements of the surrounding farm and bush landscape – the timber of the windbreaks and the forest, the rusted steel wire in the fencing – with the concrete of the nearby dairy. She made a place that is both secluded and protected from the outside elements while embracing the landscape – almost bringing it inside. A massive picture window cuts into the upper floor of this cube-like building, the frame of the window wide enough for a person to lie on the cushion set out along its length. It feels like you’re lounging in the canopy of the trees. On the same level are padded couches, chairs at a gleaming wooden table, a wood heater and an open kitchen in which stools are set around a polished stone and wood bench. Beyond that are the scullery and a den with its own wood heater. Large sliding doors open onto the patio; the concrete wall – bearing the wood-grain pattern of the form in which it was poured – protects from the northern sun and forms a dramatic backdrop to this outdoor entertaining area. A superb hideaway, it can also become the central hub when extended families hire the other houses, Cavedon’s Kilnhouse and Chinamen’s Kilnhouse. Cavedon’s Kilnhouse is named after the Cavedon family who used to own the farm. An Italian migrant, Gino Cavedon, built the drying kilns in the 1930s when his family were growing tobacco. 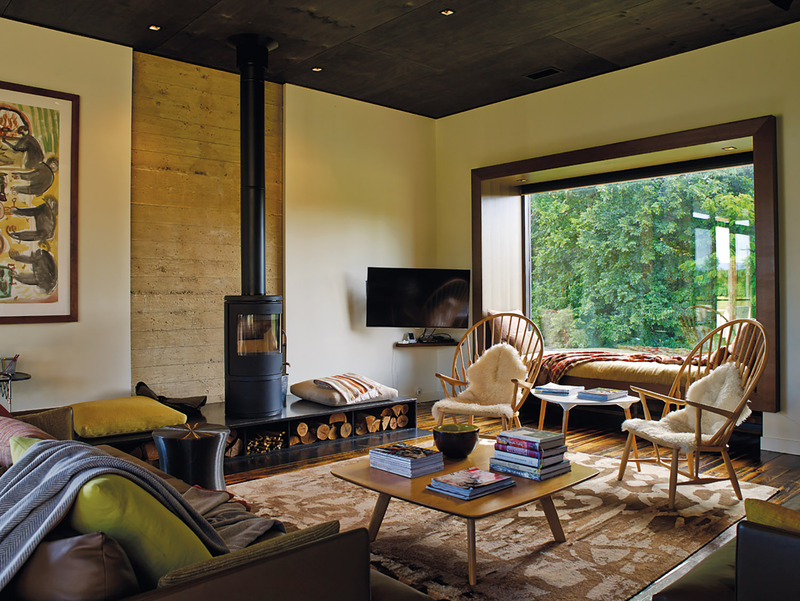 The new owners moved one kiln from another part of the farm so two faced each other, allowing architect Sally Draper to create a comfortable and unique place to stay. The two old kilns are joined with a deck and pergola backed by a new building that perfectly complements the corrugated iron towers. The rooms have walls that are lined with wood and the signature gallery window with space to sit in is punched into the wall. 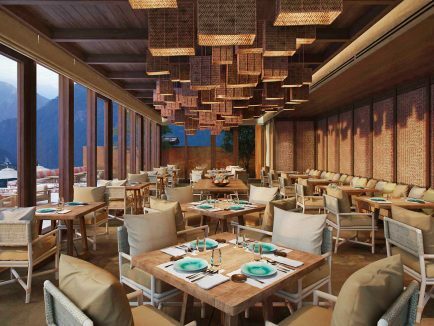 Chinaman’s Kilnhouse references its older brother, Cavedon’s Kilnhouse, a new build that harnesses the form of the tobacco kiln without making a pastiche. All the properties on this sprawling working farm have been decorated and fitted out by interior designer Russell Grainger, who has demonstrated his gift of blending antique objets d’art with modern pieces to create a seamless décor that is comfortably pleasing. It could be the way the muted colours of the mid-20th century palette match back to an artwork on the wall. It is very subtle and very clever. Then there are things that you don’t see, such as underfloor heating, fine linen, real feather quilts, a washing machine, wi-fi and air-con. Some properties have a sauna and an après-ski clothes dryer; all have wonderfully appointed bathrooms with quality toiletries. And always, there, out the window, past the grazing cattle, is the looming presence of Mount Buffalo, the sun reflecting off the cascade at Eurobin Falls. For lovers of food and cooking Russell has chosen the best ovens, cookware, dishwashers, utensils, knives, bowls, plates and glasses. There is everything a serious cook needs, from measuring cups to scales and baking tins. 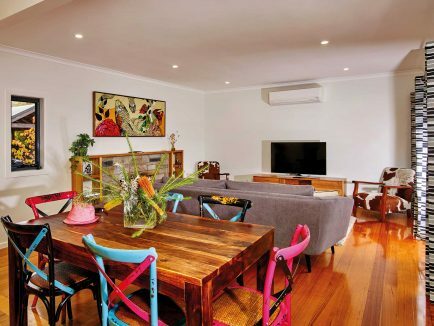 Despite the fact that some of the North East’s best restaurants are nearby in Bright, Porepunkah and Beechworth, and there are excellent cafés in nearby towns, many guests choose to bunker down and self-cater. For those who don’t want to leave this rural idyll but don’t want to bother themselves in the kitchen there is an option to have delivered a pasta dinner made by award-winning chef Patrizia Simone. Also part of the service are local food platters made by the chef at Boynton’s Feathertop Winery. The properties are also licensed to have Row 8 wines delivered. These wines are made from grapes grown on the property by the acclaimed winemaker of Billy Button Wines, Jo Marsh. Pure mountain spring water is essential to Bright chef Hamish Nugent’s pet project – gin. He has also embraced native Australian botanicals, alongside juniper, to make his wonderfully perfumed spirit. 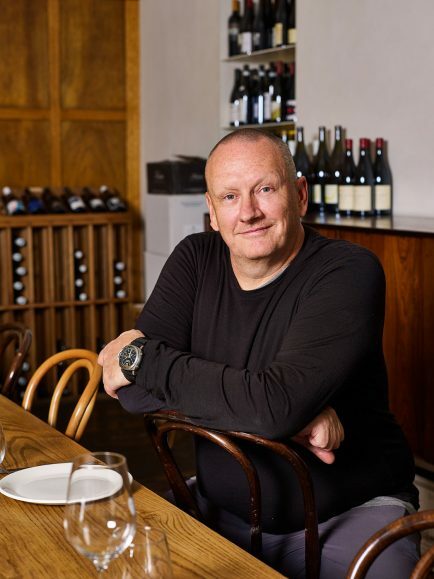 His distillery is based at 15 Wills Street, Bright, in a former mechanic’s workshop that has been transformed into a great new food and wine hub. Reed and Co Distillery’s bar and eatery, where you can sample Hamish’s Remedy gin, shares the space with Sixpence Coffee. During the day it can be filled with the aroma of juniper and a medley of other aromatic herbs, barks, peels and spices. Hamish’s gin is a work of art, a powerhouse of dozens of different botanicals. The essential oils evaporate with alcohol which is then stored to mellow, brought down to 44 per cent with mountain spring water, bottled and rested to let the flavours meld. When served on the rocks the essence of the botanicals is released as the ice melts. There again are the aromas of the bush – mountain pepper, lemon myrtle and lemon-scented gum intermingling with garden perfumes of lemon verbena plus the overarching note of juniper. 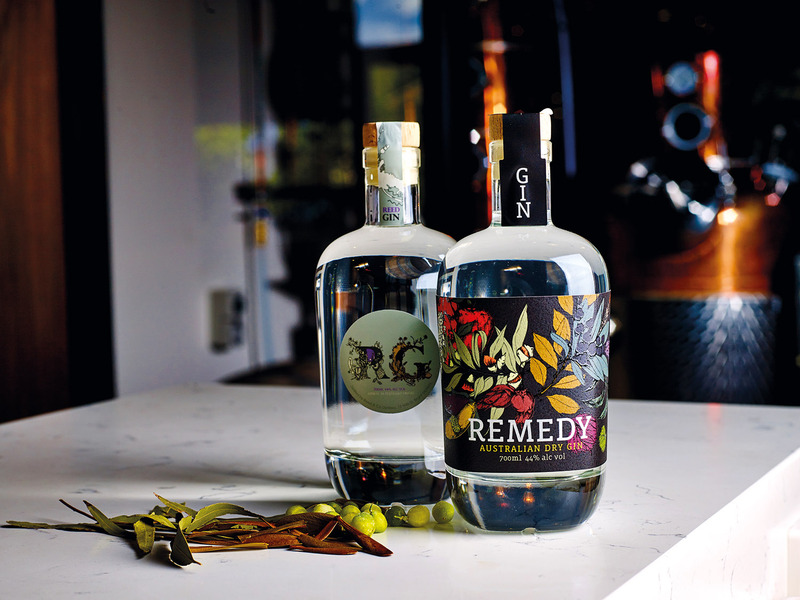 Try Hamish’s Remedy Gin, along with a choice of mixers and garnishes, for $15 at Reed and Co. On Friday, Saturday and Sunday Hamish fires up his grill and offset wood oven to serve casual shared plates that encompass some of the old dishes from Tani Eat and Drink, like the pork and cucumber bun, while introducing some new fire-cooked dishes such as slowed-cooked hanger steak dry-aged with koji – saké lees – and served with pickled wasabi. 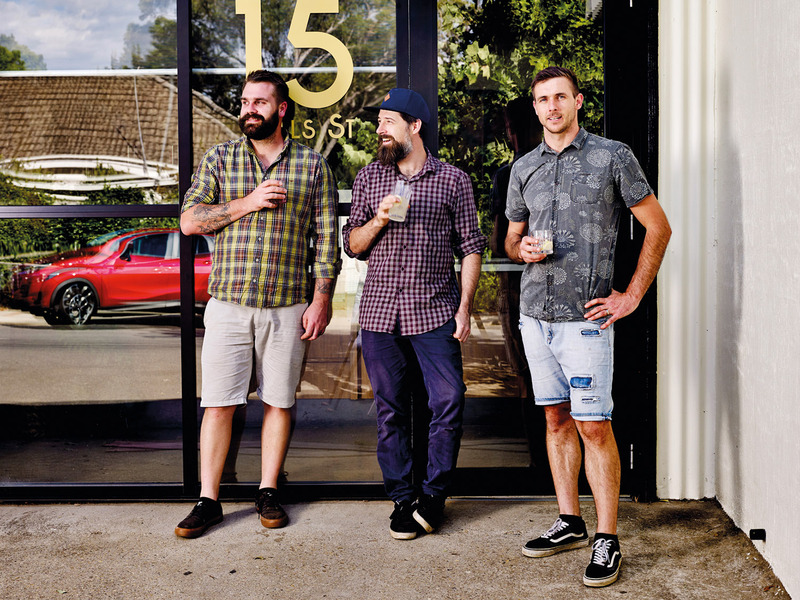 The lads from 15 Wills Street, Bright – creators of a former mechanic’s workshop that has been transformed into a great new food and wine hub. At other times of the day the aroma of roasting coffee from Luke Dudley’s Sixpence Coffee permeates this large, bright space with its bare wooden bars and tables. (His bakery, now named Pocketful of Rye, remains in the town’s industrial estate.) Sixpence Coffee is the place to buy beans or enjoy the special blended and single-origin coffees roasted in the glass-walled room out back. 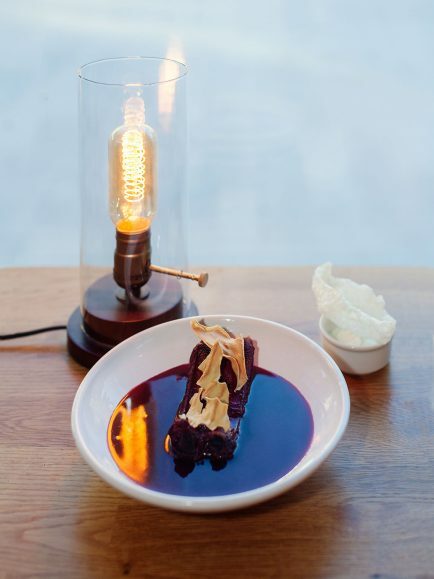 Come here for light-as-air pastries and delicious down-to-earth sandwiches. 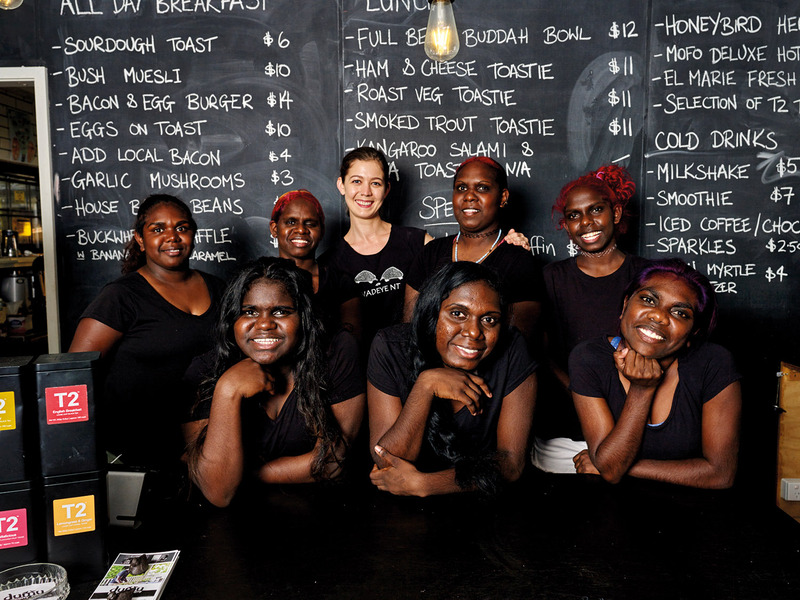 Fresh faces from Australia’s top end at Dumu Balcony Café, from left: Melanie Cook (back), Amaya Harris (front), Bernice Bitting (back), Danielle Chettleburgh (back), Lauren Bitting (front) Margaret Bitting (back) Veronica Munar (back) and Beatrice Bitting (front). The food and coffee are good here and very reasonably priced. Rebecca is keen to point out that the cultural exchange goes both ways. Local bush products such as bush plum are used in some dishes and traditional handwoven and dyed fishing nets and foraging bags line the walls. Dumu Balcony Cafe offers truly honest hospitality and the staff from Wadeye are ever keen to strike up a conversation – especially when it involves topics such as AFL and fishing.